Are You Ready to Finally Find Your Passion? What if you could say bye bye to confusion? What if you had a way to uncover what you were truly meant to do? 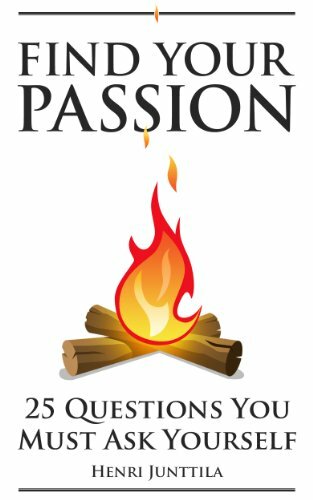 In Find Your Passion: 25 Questions You Must Ask Yourself you'll discover a powerful set of questions that will help you do exactly that. I've been helping people find and follow their passion for over a decade, and some of the things I've discovered are weird, surprising, and fascinating all at the same time. In this book, I share a simple process that will help you gain more clarity, and access the answers that were always waiting within you. When you're done reading, you'll have the answers you need, and you'll know how to take the next step toward your dream life. Pick up your copy by clicking the BUY NOW button at the top of this page!